Kitchen Week Magazine published this year’s 25 best restaurants in Colombia’s capital Bogota. The research carried out by a group of six anonymous inspectors based on 50 criteria critiqued the top 25 eateries in the capital. Here are the five restaurants considered the best. The growing popularity of Salvo Patria moved it from its original location as it becomes one of the capitals’ most popular eateries. Locals and tourists flock to Salvo Partia for its sophisticated Mediterranean-French cuisine. The restaurant is also renowned for its coffee which is enjoyed in a super cool hipster atmosphere. Salvo Patria is a kitchen that believes in the traditional processes and small Colombian producers. This restaurant named after owner Harry Sasson has been raising standards of gastronomy in Bogota for over 25 years. Well known for its “volcano of chocolate” and flame cooked meats, the restaurant and chef is a firm Bogota favorite. 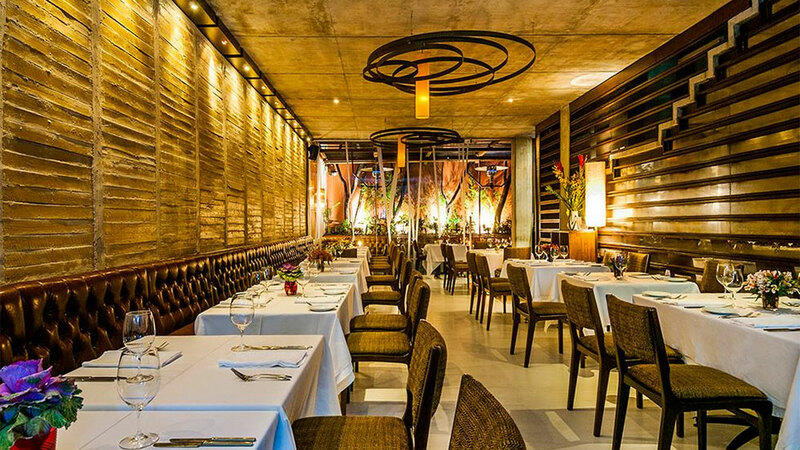 In 2013, it was ranked 22 of the top 50 eateries in Latin America. Chef Koldo Mirandaone, who has won a Michelin star is one of the most renowned in Spain designed an innovative menu. The menu is based on traditional cuisine and at the same time reflects a mixture of several worlds, the Mediterranean, the culture of the Basque roasters and Colombian Creole cuisine. The cuisine is accompanied with the right dose of creativity and finesse. The famous Rafael Osterling brought to Bogota a menu that illustrates the very best of Peruvian cuisine with a slight Thai influence visible. Located in the Quinta Camacho neighborhood the restaurant is also noted for its seafood with cerviche and fish curry popular choices. A huge red metal gate welcomes an open bar, a modern-styled lounge and, on the left, the dining room, more rustic, backed by a huge window. “It is one space to have permanent contact with customers,” according to Osterling. One of the oldest restaurants in the city that continues thanks to the quality of cuisine and service, Pajares Salinas was deemed to be the #1 place to eat in Colombia’s capital. The restaurant boasts a wide-ranging menu of Spanish cuisine with traditional appetizers and popular mains of pepper steak, lamb chops and grilled lobster in a spot which is frequented by important businessmen, politicians and national public figures. The restaurant bases it’s success on traditional food and has built its strong reputation since the sixties when the family arrived from Spain. “Our menu is almost equal to that of 63 years ago, it has changed very little,” Jose Augusto Pajares, sons of the founder told Semana newspaper.